From September you will be able to include the SQ-7 to your family of mixers, as Allen & Heath bring you the latest in their renowned range. 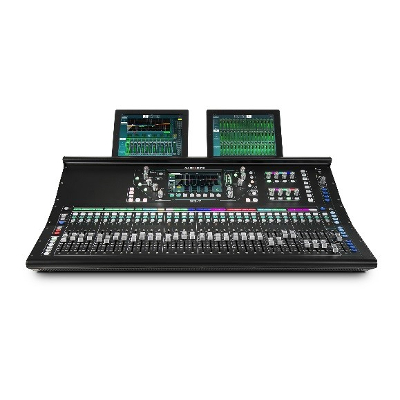 Designed to meet the demands of AV, corporate events, live productions and houses of worship, the SQ-7 is a 48 channel/36 bus digital mixer, offering pristine high resolution audio quality and an ultra low latency of <0.7ms. The SQ-7 supports 32 on-board mic preamps with an additional option to expand through remote AudioRacks. The 8 assignable rotary controls allow even more customisation for the user. SQ-7 is a 48-channel console, fully compatible with a range of remote I/O expanders, including the portable DX168 96kHz stage boxes. Inputs and mixes can be individually assigned to 192 fader strips across 6 layers, while 16 soft keys and 8 user-assignable soft rotary controls allow the mixer’s workflow to be customised to the needs of each show and operator. Forthcoming Dante, Waves and SLink audio networking cards further extend the scope for expansion, system integration, FoH / monitor splits and recording.